Newmarket Handicap winner Sunlight has firmed for the William Reid with the scratching of Shoals. A three-time winner at the highest level, Shoals had been heavily supported from $4.20 into $3.10 ahead of her scratching from Friday night’s 1200m sprint. 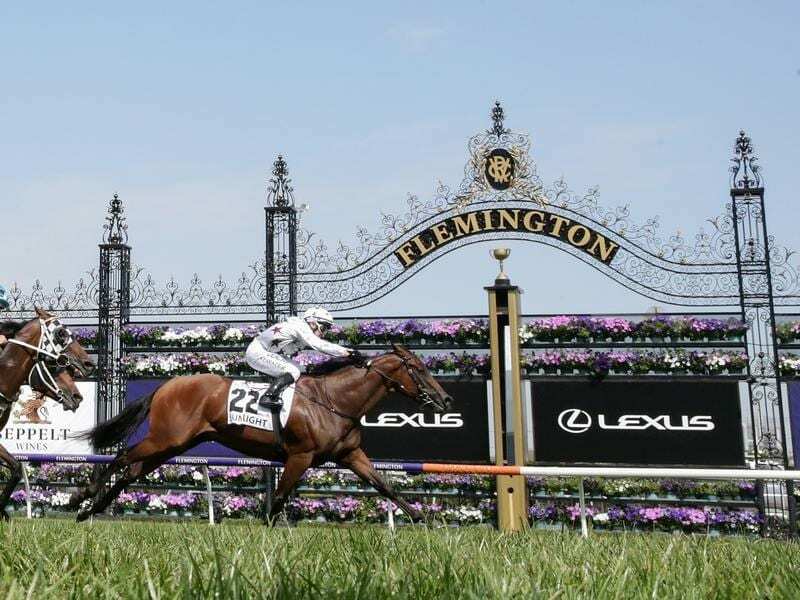 “Shoals has been scratched from Friday’s Group One William Reid Stakes due to a bruised foot,” Freedman Racing said on Twitter. Newmarket Handicap winner Sunlight has moved into the red as the $1.70 favourite following Shoals’ withdrawal with Written By second pick at $7. Sunlight’s trainer Tony McEvoy has no concerns about the filly performing under The Valley lights on Friday night. McEvoy blamed a poor start for the filly’s defeat that night and sees the outside draw as a positive. “Usually she’s got great timing but as soon as she stepped slow she was out of the race,” McEvoy said.